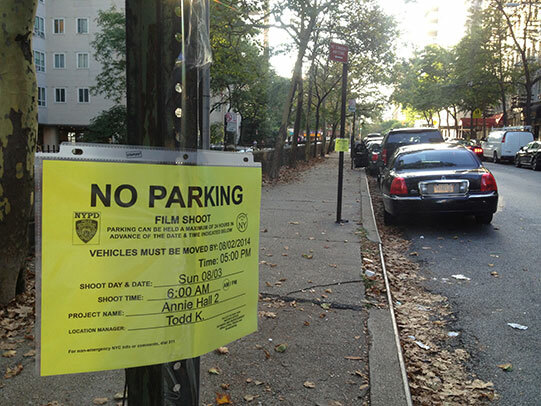 What’s worse than New York City’s never-ending parade of street closures for film shoots? Street closures for cynical sequels destined to ruin the legacies of classic films! 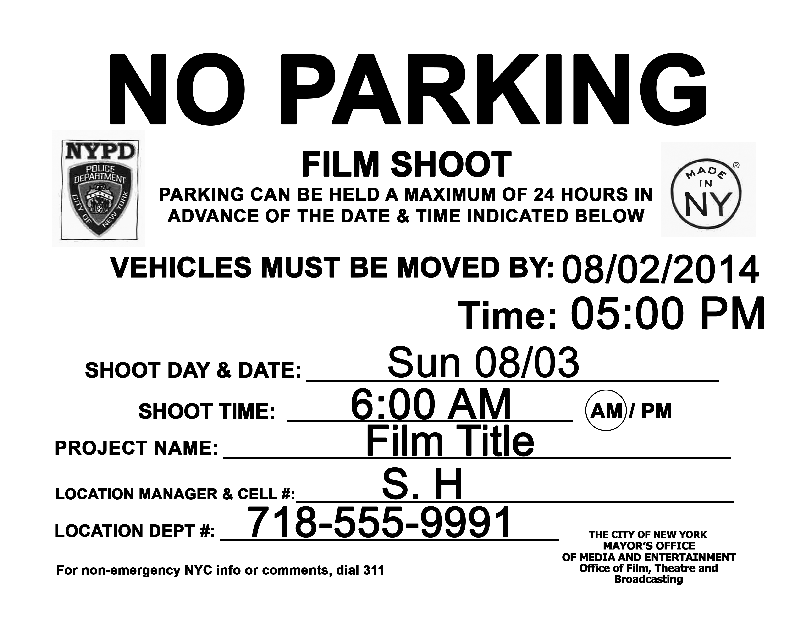 Mike Lacher and I decided to invent terrible hypothetical sequels for movies based in New York City and post “no parking” signs for these fictional film shoots. But wait, this story gets weird fast. We began installation on 66th St where we posted signs for Annie Hall 2, then headed to Little Italy to post signs for The Godfather Part 4. Ironically, nearly every street in the neighborhood was already reserved for actual shoots. And then we discovered these signs already reserving parking for Godfather IV. Minds: blown. Which was more improbable: that the film was actually in progress or that someone was pulling the same prank on the same weekend? Dazed and uncertain of the boundaries of reality, we headed to Bedford-Stuyvesant to post signs for Do The Right Thing 2 before calling it a night. As the internet discovered the signs over the next couple days, we realized that, indeed, someone else going by “Chad” was also posting no parking signs for terrible film ideas including Taxi Driver 2, Williamsburg: The Movie, and Bushwick: The Movie. We still don’t know the true identity of our mysterious prank doppelgänger.